Phi Phi Island scuba diving offers a wide range of marine life and everything from wall diving and caverns to wreck diving. 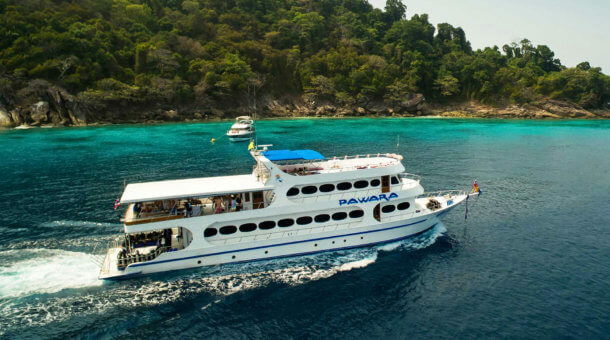 Phi Phi Island’s best dive sites are all on the itinerary of the popular 2 day / 2 night diving special from Phuket on the Giamani liveaboard. 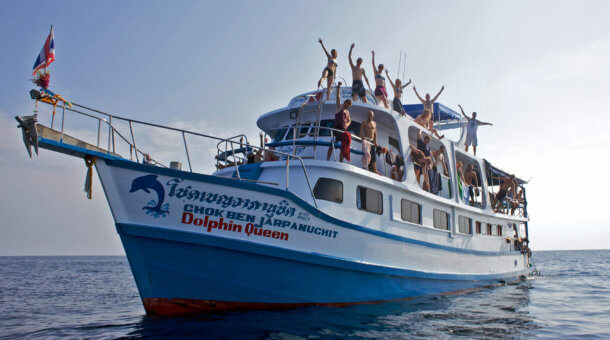 This tour runs weekly from May to August including 7 dives and a chance to sample the nightlife on Phi Phi Island. Giamani is a very nice boat with a small group – the boat takes a maximum of 10 divers. 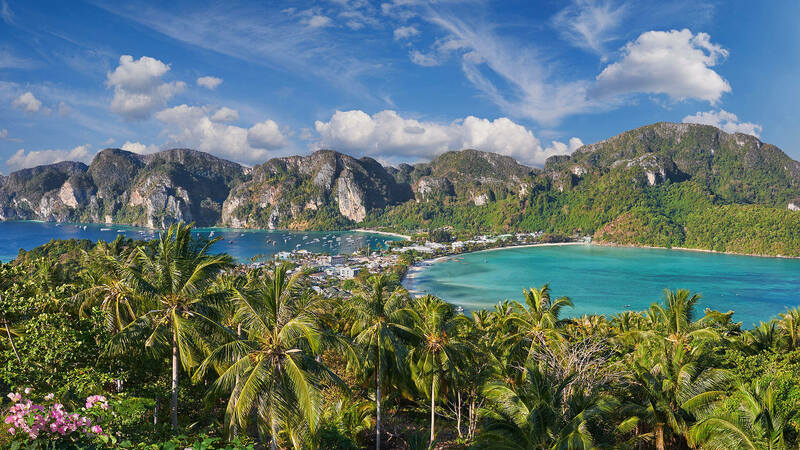 If you’re staying in Phuket and looking for more than just a day trip, here is the perfect solution: two full days of scuba diving at Koh Phi Phi’s most beautiful dive sites. 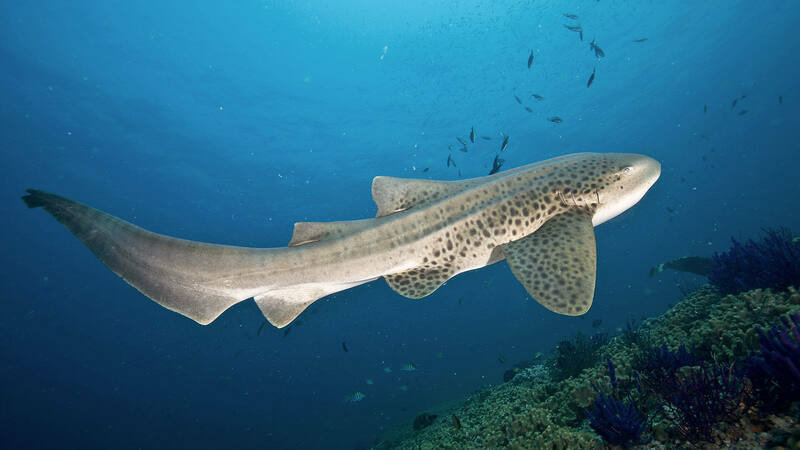 The variety of diving includes wall dives, leopard sharks, sheltered lagoons and the amazing scenery of the Phi Phi Islands. This is the best way to see Phi Phi from Phuket, although we do also offer day trips several times per week with 3 dives. On this 2 night trip you have 7 dives and a chance to really see the islands. Looking for more? This trip has it all – wreck diving, night diving, and some great scenery around these beautiful limestone islands. 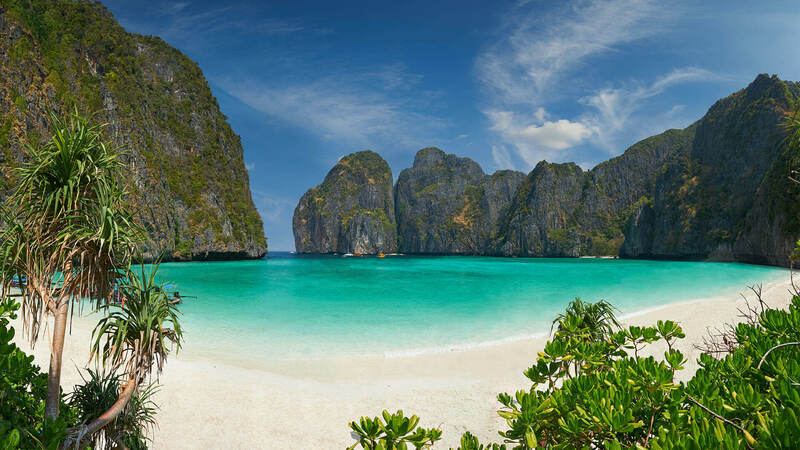 The Phi Phi Special is the perfect tour to combine with your Advanced Open Water course. You also get a night to look around the town, sample a little nightlife (don’t drink too much!) and then get back on the Giamani for a comfortable sleep before diving again next morning! It’s one of our favourite trips, lots of diving, plenty of variety, and a night out too! Rental dive equipment is 500 Baht per day. National Park fees for Phi Phi 800 Baht per person. NOTE : In the high season from October to May there are 2 night trips including Phi Phi, but also heading further out to sea to dive at Hin Daeng, Hin Muang and Koh Ha. 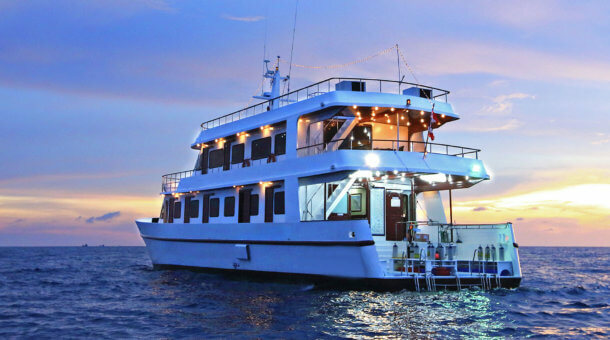 More Details – see Hin Daeng Liveaboard. Online Booking Available. No credit card charges! Please do contact Sunrise Divers if you would like to enquire about this trip or any other day trips or liveaboards. We are always here to help!